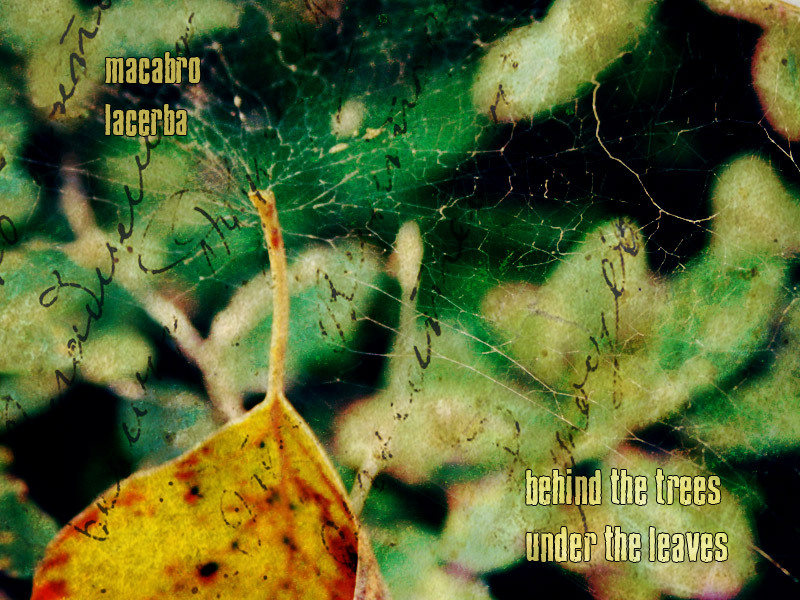 One day I found a very interesting release on Liminal Recs label – a split album of Macabro (a project from Latvia) and Lacerba (a project from a Russian city Penza), consisting of 4 tracks, that is called “Behind The Trees/Under The Leaves”, where the musicians tried to put the listener into a specific atmosphere of a fairy forest, where one must be rather conscious and careful, as everything can be expected from such a strange place. The first piece – “Amanita” (Macabro) brings the listener into a fantastic and psychedelic world of flickering dreams, its tranquilizing melodic guitar drone reveals the prophesying essence of the mushroom Amanita, which mysterious image often occurs in fairy tales and legends all over the world. It is a real embodiment of an altered state of mind. The next track – “Forest Butterfly” (Lacerba) – is an arranged complex of sounds, soaring like a butterfly – from one flower to another and wherever it wants. The third track – “You Breathe” (Lacerba) – as if shows the embarrassment of a man, who entered the forest, and later found himself lost in it. The conclusion of the album – “Fireflies” – is another nice guitar drone of Macabro, that summarizes the impressions from this strange place, adding the decisive stroke into the conceptual area of the album. It’s worth mentioning, that the whole sonic picture of the split produces a warming effect on a listener by its saturated and colourful radiance.